When you lose one or more teeth, it can have a major effect on your appearance when you smile. Some people stop smiling altogether, in photos and social settings, due to tooth loss. But you shouldn't give up on your smile -- there are solutions at the dentist's office. Partial or complete dentures and implants are common treatments offered by Dr. Stephen Harris in Farmington Hills, MI. Let Dr. Harris and his team show you why a loss of teeth doesn't have to mean the loss of your smile. It's estimated that over half of all Americans are missing at least one tooth. 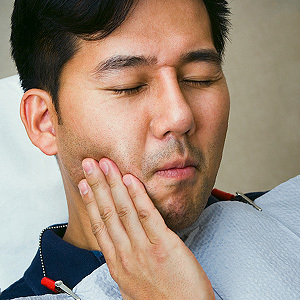 Tooth loss can happen due to injury, (usually in the course of intense physical activity), progressive tooth decay, an untreated abscess or gum disease. When a tooth is missing it not only makes smiling awkward, it can also have an effect on how you pronounce words and eat food. 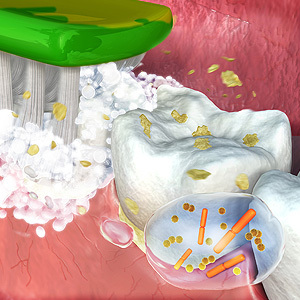 The open socket could also become susceptible to trapped food particles that could lead to gum disease. Partial dentures (removable) to fill in one or more missing tooth. Full dentures (removable) that will replace an entire row of missing teeth. A dental implant to permanently replace a single missing tooth. An implant-supported denture appliance that locks your dentures into place for a more secure fit. There are steps you can take to ensure the ongoing good health of your teeth and gums after a tooth has been replaced with one of the aforementioned solutions. Take special care to clean around the base of each natural or implanted tooth with your brush and floss everyday. Do not allow food to remain between your teeth overnight to avoid the development of plaque. If you have a denture, soak it in a denture solution regularly and brush it to remove food particles and bacteria. Most importantly, visit your dentist's office at least twice per year for professional cleanings. Don't stop smiling after tooth loss—explore solutions with Dr. Harris instead. Call his Farmington Hills, MI office at (248) 478-4755 today to find out which tooth replacement option will be right for you.